Two things were apparent during and after the second round of the Titleist & FootJoy PGA Professional Championship –David Higgins is an accomplished golfer but no prophet. Higgins leads the £78,000 tournament at its halfway stage, a position he did not expect to occupy after his round of six-under made him the clubhouse leader following an early start at The Oxfordshire. It put him level on nine-under-par with Andy Raitt, the overnight leader who was due to play in the afternoon. As things turned out the only movement Raitt made was backwards. The four shot lead he enjoyed after the first round was wiped out by two lost balls at the ninth resulting in a quadruple bogey. 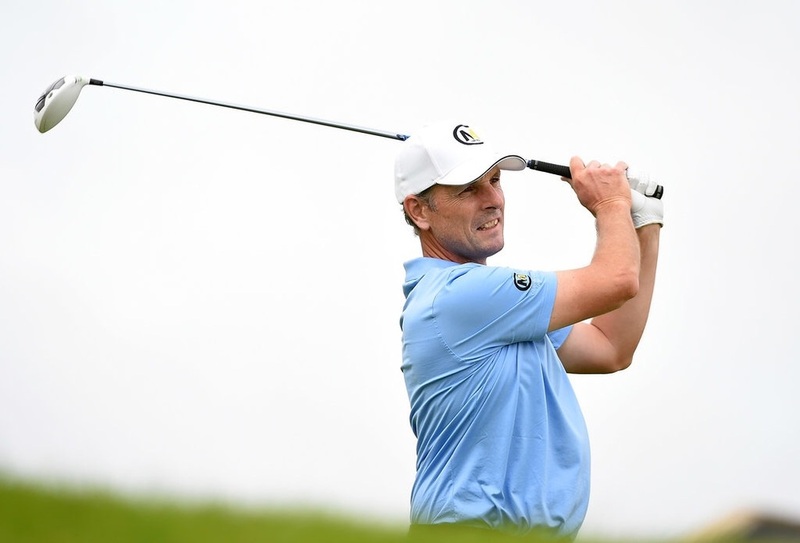 Fold into the mix less four other bogeys soothed by a trio of birdies and it added up to him ending the round five shots adrift of his successor in pole position. Bogeys and Higgins by contrast are barely fleeting bedfellows. At least at The Oxfordshire, they are. The Irishman from Waterville Golf Links has registered just one thus far, at the par five fourth during the second round. “I hit a bad tee shot there,” he explained after his six-under-par round of 66. “I’m playing just OK but I’m scoring well. With Graham Fox, Stuart Brown, Andrew Butterfield, defending champion Paul Hendriksen and James Wilkinson no more than four shots adrift, he will need to, especially with the first of the trio building up a head of steam. Fox, who posted a round of four-under to trail Higgins by two, said: “It is just straight shooting golf, there are plenty of chances if you hit it straight. The greens are quite soft. You need to be good off the tee. I’ve played it before at Q-school – I like it. “I like the stadium feel of the course, I much prefer playing a course that you can see in front of you. I grew up playing on links and sometimes you can get punished when you hit a good shot but this is all in front of you. “I’m practising less, doing a lot of teaching and looking after my two kids. It’s nice, it’s all about time management. If I want to get up and practise I do it at the back end of six in the morning. Hutcheon, on four-under, is also in the mix. So, too are Liam Bond and, despite his tribulations, Raitt. For Raitt and Bond, the second round proved a reversal of fortunes with the latter’s seven-under 65 constituting the best return of the day. “After yesterday’s performance I’m very pleased with that,” Bond said. “I was rusty yesterday, just didn’t play well. Missing greens from 90 yards and so on. “Today I thought I’ll just go as low as I can, make the cut and stay here. I thought if I could shoot three or four under it would be fine and I just kept going. I started par, eagle, birdie so once I was three-under just trying to make some more. 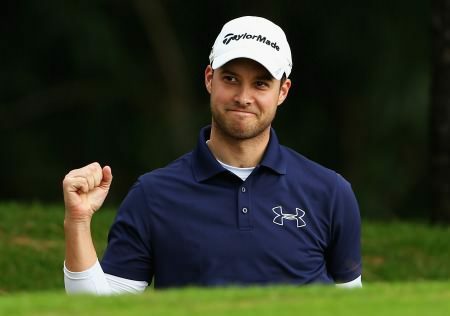 “I hit everything in play, holed a few putts and this is what happens on a course like this – keep it in play, hole some putts and you’re going to score well, as we saw with Raitty yesterday. “When I played the pro-am off the back tees in a bit of wind, I thought under par is good here and then you see Raitty’s eight under through nine and you think what’s happened here. “After that I had to re-evaluate a little bit. I was going pretty well today, I missed a couple of short ones otherwise I could have been pushing him for his little record. 153 Damian Mooney (Nevada Bob's Belfast) 78 75.